At the LeWitt exhibition at MassMoCA, I devoured a 10 minute film that chronicled the process of artists creating the three floors of wall drawings. One close-up showed an artist making endless, careful pencil squiggles. So the next morning, eschewing scraping the frost off my car in an orderly manner, I made squiggles. 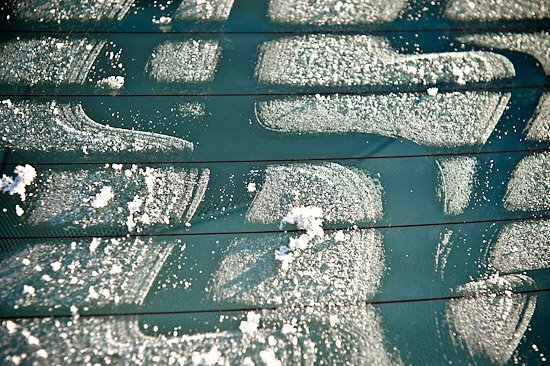 As the rear window defrosting lines heated, my own ephemeral car LeWitt emerged. 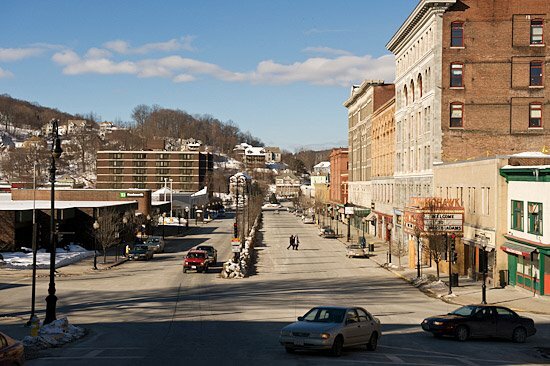 Later, I climbed a pile of snow to show Main Street in North Adams. In the name of urban renewal, the whole left side of the street was leveled in the late 1960s. But industry kept leaving town. MassMoCA's opening in 1999 has anchored a burgeoning creative economy, putting the town back on the map. Taking the color out of the image takes me back in time.